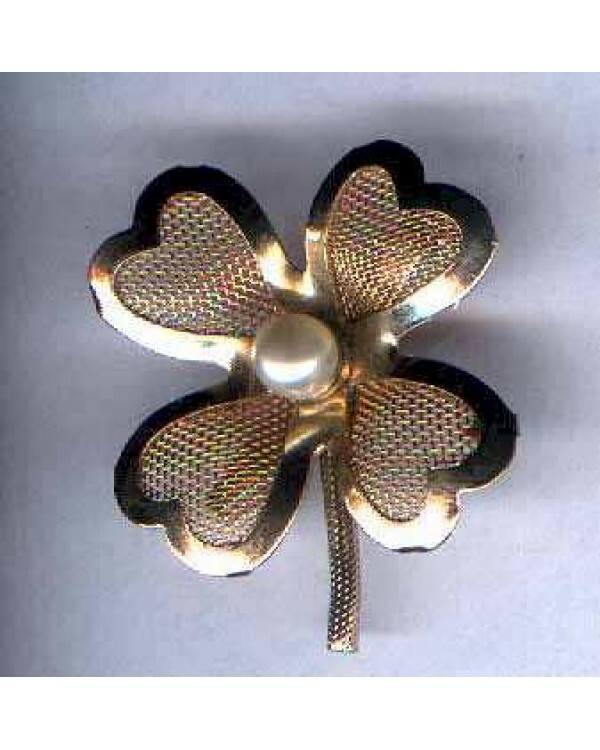 This Lucky Clover is 1 1/2", signed Coro, with a faux pearl center. It has mesh petals and stem. Like new.